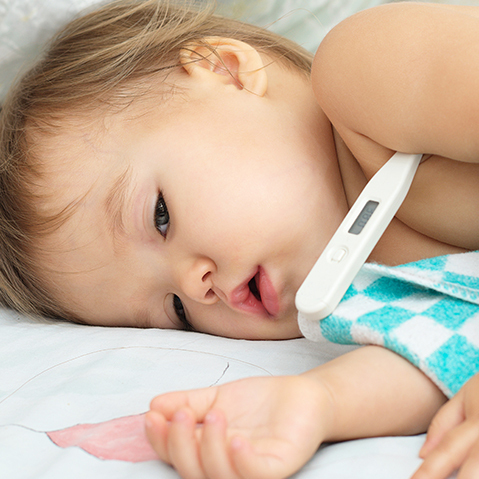 It’s just a cold – but that’s no comfort when your baby or toddler is bunged up, runny-nosed and just plain miserable. Weleda Rhinodoron is safe and easy to use on wriggly babies – we know, because mums told us! Children’s immune systems throw off colds relatively quickly, but to a parent of one or more young children suffering bunged up, crusty or runny noses, sleepless nights and grumpy days, that’s not much comfort. Our 100% natural Rhinodoron Nasal Spray is a comfort though. Incredibly popular for adults and even pregnant and nursing mums, it’s also completely safe to use with children and babies over three months old. Used as advised, it will ease blocked and stuffy noses and soothe sore nasal passages. It’s so safe to use because it only contains organic aloe vera and natural saline solution – perfectly matching our own chemical balance of sodium and potassium chloride salts. There are no synthetic additives or preservatives. Rhindoron isn’t just for the winter cold season. Any nasal stress from heating, air conditioning, hayfever or indoor allergies could lead to rhinitis – irritation and inflammation of the nasal passages. Rhinodoron rehydrates, moisturises and soothes, to help keep mucous membranes comfortably moist and, being 100% natural, Rhinodoron can also be used safely over long periods. We asked asked a panel of testers, all parents of young children, to try Rhinodoron and here’s what they said: “So easy to use, with almost instant results”; “I anticipated a struggle, but didn’t get one”; “A lot easier to administer than drops, and my toddler looks forward to it”. Rhinodoron is completely safe to use during pregnancy and while breastfeeding too. Our young mums told us they liked the lack of fragrance, the ease of use, and the convenient handbag size. Practically, some also reported worse sinus problems during pregnancy, which were eased by Rhinodoron – and of course, some medicinal decongestants can’t be used during pregnancy. Isn’t it a comfort to know that Weleda’s on your side when everyone’s feeling a bit stuffed up? And that goes for baby and child care, too!